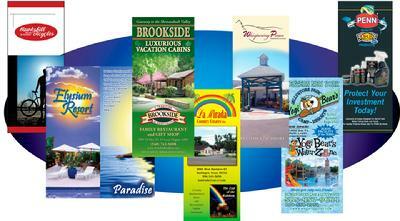 Printed on two sides in brilliant full color, on matte or gloss text--weights from 50# to 100#. As small as 11x8.5 tri-folded, up to "map" size and everything in between. Prices include initial graphic design and standard shipping.